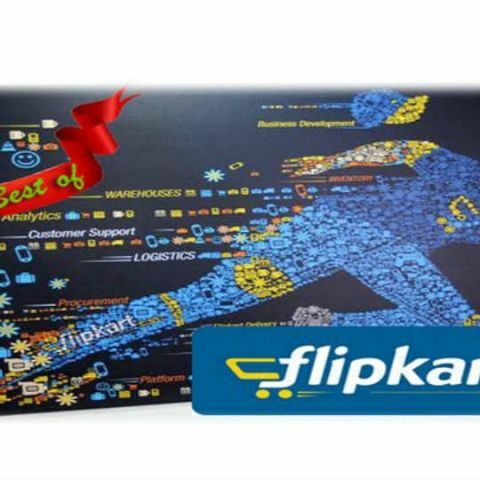 Flipkart has announced a 24-hour refund policy for returned products purchased via Cash on Delivery (CoD). The refunds will be made via Immediate Payment System (IMPS) transfers. Flipkart has claimed it to be a first-of-its-kind initiative for e-commerce payments, where users will get a refund within 24 hours of returning the product. The facility is available for only those banks that support IMPS transaction. In addition to this, users will also receive timely updates on SMS and email, related to their refund status. The company has said that it wants to provide refunds as soon as the product reaches the Flipkart hub. This move from Flipkart is aimed towards providing faster refunds to users. Earlier, the same process normally used to take 3-5 business days. Punit Soni, Chief Product Officer, Flipkart, said in a statement, "Customer experience and convenience is at the center of all things we do at Flipkart. Our return procedure is already one of the fastest in the country. In the last two months, we have extended this further by piloting the IMPS refunds program, which has seen positive adoption and traction from our end users. This is a huge step in the payments front and has a big impact in the way customers shop on Flipkart. An instant, hassle-free refund experience, combined with consistent and accurate communication to the customer is definitely going to be a breakthrough, and a way forward for all future payment innovations." Speaking on the same note, Dilip Asbe, COO, National Payments Corporation of India said, "Our synergies with Flipkart to provide the best possible customer experience has led this association grow bigger. We strongly feel that enabling our fast-growing product IMPS (Immediate Payment Service) with Flipkart’s quicker refund strategy will create a benchmark experience to customers. IMPS’ vision is to provide ‘any-time, any-place’ real-time funds transfer facility to customers for varied needs. Transactions on IMPS can be accessed and initiated across different channels such as mobile, internet, NUUP, ATM and at bank branches. More than 12 million successful transactions are been processed every month." Recently, Flipkart launched an in-app social networking service named Ping, which lets users share photos, and chat with each other while shopping. The company has claimed that the app is optimized for Indian users by taking slow internet connections and low cost smartphones into account. Which one is better for the shopping flipkart or Zovi? Which one is better for the shopping flipkart or YEP ME? Which one is better for the online shopping flipkart or Jabong? when Sony Xperia Z3 will available in Flipkart ?